Question 5: What are the different market segments? Do we need to enter in all or just a few of these segments? Which segments are expanding and which are shrinking? 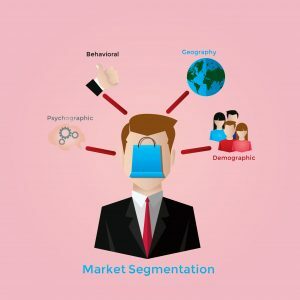 Market segmentation is a crucial part of a marketing strategy, especially one being utilized when entering a new market. In this fifth part of our market assessment series, we’ll discuss the importance of market segmentation. You should start off by identifying the different market segments. Entrepreneur and investor John Rampton points out that better data enables better customer segmentation. Same is the case with market segmentation. So put your marketing team to work and identify those segments. A market segment is kind of a market in itself. Once you have identified the market segments, how do you know which ones you should enter? Just like you should ask the 8 questions in this series before entering a market, here are some questions you should ask when sizing up a market segment. Is it substantial? Sales value/volume is usually the metric used to measure a market segment. Good market research will reveal a segment’s size. This will tell you whether a segment is worth the time, efforts and resources of your company. For instance, there’s no point in a segment with insignificant spending power. Is it accessible? Consider the ways in which potential clients in a market segment may be accessed. Judge these ways to determine whether any of these can be considered your marketing department’s strengths. Remember, segments can respond differently to different approaches. Is is differentiable? An ideal market segment is one that is internally homogeneous, meaning all the people within that segment have similar characteristics and preferences, and externally heterogeneous. Is it actionable? An actionable market segment is one that has practical value, meaning it should provide data that lets you build your marketing position and sales approach. And the outcomes of these should be easily measureable. Lovrenc Kessler, Managing Partner at Simon Kucher & Partners emphasizes the importance of integrating segmentation across the board. So write from the beginning, communicate to your employees why segmentation is necessary. E.g. tell them you will be able to quickly tell which customer has potential and deserves your company’s time. Knowing whether a segment is expanding or shrinking is also crucial. On one hand, you may realize that its better to enter an expanding segment a little later. On the other hand, you might dismiss a shrinking segment that has an unstable customer group and is likely to disperse or even change beyond recognition in a couple of years. You should also link the segmentation to clear actions. Don’t fall for the notion “Every client is important for us.” All customers are important, yes. But clients with larger potential should command more time and attention than those without further potential. 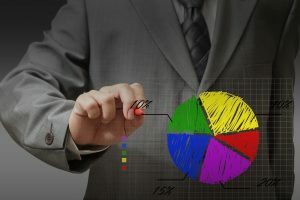 Segmentation helps you identify which is which, ultimately helping you prioritize your production and streamline your sales approach. 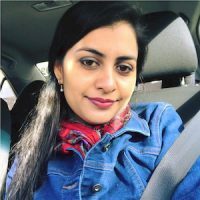 Any differences between the segments must be defined clearly so highly targeted services and campaigns can be directed towards them without any overlap. According to Larry Myler, Founder and CEO of Monday Inc., you can sell more to selling to fewer, as a direct result of effective market segmentation. After all, successful market segmentation is part of an overall successful business strategy.